The proliferation of laboratory-grown diamonds into the market continues to dominate industry news. A new report says demand for lab-grown diamonds has experienced “significant growth” from attractive marketing, but that prices for such goods have declined 70% in the past two years. The report, compiled by Bain & Co. and published by Rapaport, says the price decline is caused by improving technology that lowered production costs. The consulting firm also noted that its consumer survey found that demand for lab-grown diamonds falls off sharply when their price tops $1,000 per carat. 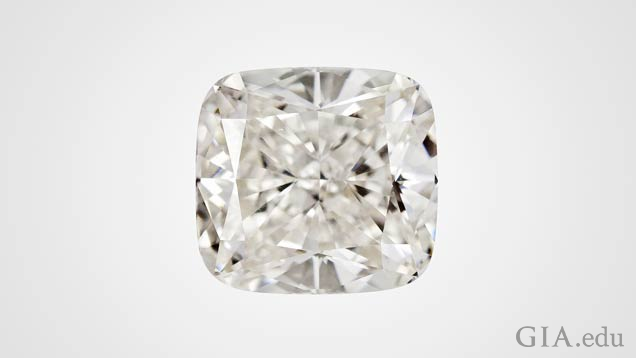 Lab-grown producers, other than De Beers/Lightbox, claimed in the report that demand is running above supplies for their products, so prices are not dropping – especially for larger stones that remain difficult to produce. The Bain view, however, is that prices will likely continue to decline to the point where the two markets “separate themselves,” similar to what happened with colored stones. The world’s two largest diamond miners – De Beers and Alrosa – continued cautious supply policies into the first third of the year. Both cut back on rough sales compared to last year, as their clients – diamond manufacturers – complain of softening prices and rising inventories, especially of small, lower quality goods. The De Beers February/March cycle totaled $490 million, a 13% decline from the same period last year, but the firm held the line on prices after lowering them on some goods last fall. The trade generally welcomed the lower allocations, which include sight sales and individual deals, but claimed that softening polished prices have cut margins. De Beers production also slid about 10% in 2018 – 32 million cts compared to 35 million cts in 2017 – although revenues increased 4% as the company shifted more of its sales toward higher quality goods. The United Nations (U.N.) approved a resolution aimed at expanding the mandate of the Kimberley Process (K.P.) to exclude diamonds produced in a climate of “systemic violence” in addition to civil conflicts. This means that diamonds produced in areas where workers and local residents are killed, injured or abused by government, local militia or private security forces may be sanctioned if the measure is adopted. This is a major expansion that can allow, for the first time, diamonds from countries not engaged in civil wars to be excluded by the K.P. Although the U.N. adopted the resolution and the World Diamond Council approved it, it’s hardly a done deal. The K.P. itself has to adopt the change, and, since that requires unanimous approval from every member country, nothing is guaranteed. The U.S. tried to push this expansion a decade ago to no avail – it was met with fierce opposition from many African producer countries, particularly those bordering Zimbabwe, who feared reprisals from their larger neighbor. At that time, Zimbabwe’s government was under fire for major human rights abuses at the Marange mining area and assumed (not entirely wrongly) the change in the K.P. was directed at them. After the U.N. approved the resolution, a coalition of non-governmental organizations (NGOs), The Civil Society Coalition, issued a call to ban diamonds from Zimbabwe based on the fact that the country’s army is involved the mining process. The army violently assumed control of the diamond deposits in 2006 after hundreds of artisanal miners had settled into the area to dig for stones. An estimated 180 people died in the conflict, while human rights abuses allegedly continued for years afterward. An effort to expel Zimbabwe from the K.P. a decade ago was defeated on the grounds that Zimbabwe’s government was the recognized authority and that sanctions were only applied to rebel groups. Russell Shor is a senior industry analyst at GIA in Carlsbad. Dr. James Shigley, GIA distinguished research fellow, shares the latest developments about HPHT and CVD synthetic diamonds, and information on GIA’s ability to identify them. See the video and learn the latest developments about gem-quality synthetic diamonds. Learn how nearly 60 years after the first synthetic diamonds were produced by the General Electric (GE) Corporation, they are making an impact in the jewelry market.